Caddo Lake in Louisiana is the largest natural lake in the south with more than 30,000 acres of water. Described as “mysterious and beautiful,” this lake that lies on the Texas/Louisiana border covers a Cypress swamp and is surrounded by cypress trees, plants and wildlife. 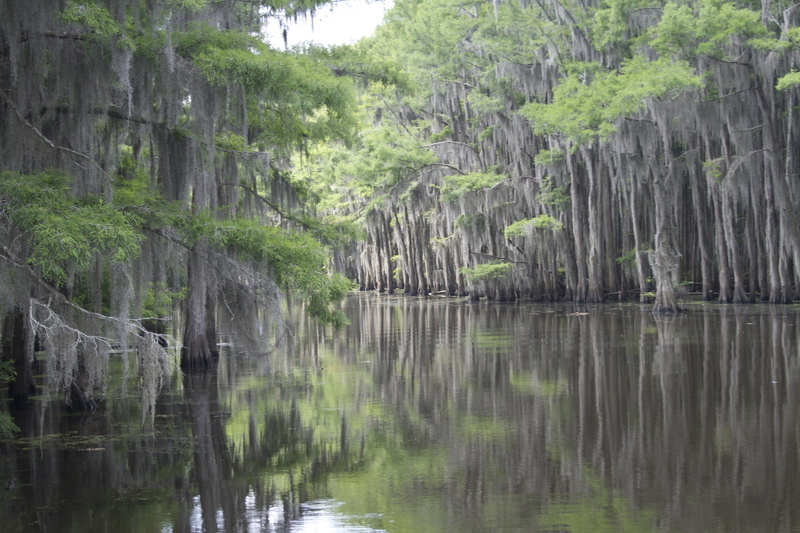 At Caddo Lake you will find house boats, steamboats, camping, hunting, birdwatching, hiking, fishing and more. You can even tour historic homes, take a trolly ride or take a steamboat tour of Caddo Lake. A cabin is the perfect place to stay to make this a perfect trip.